Today, ICT increasingly penetrates into the various sectors of human life. There are present voices from the students and practice that provided education is not adequately linked to the practice. In order to enable universities to prepare students for practice, it is necessary to involve practice into education actively. In our case, an example is presented through the advertisement of XXII. Multimedia in Education conference, which we usually visit every year to present our projects and results and to get information about other education professionals’ projects. SP4CE Portal (available at sp4ce.eu) presents interesting solutions of above described problem. The portal itself contain online information about the project SP4CE itself, guides for particular target groups (coaches, mentors, students), interesting learning materials, contributions to the various conferences and from the point of view of the above-described problem solution special part – challenge/call: “Send us your project proposal“. Via this challenge can anyone call for the help. It is tool for looking for people interested in solving different kind of problems or for searching the partners for future cooperation operating in same of different areas. In the case of match of the challenge participants, administrator creates a Learning Room, specialized place, where can all together cooperate after signing up to a system. This challenge process works on the principle developed within EACEA project “OpenInn2.0: A Knowledge Generating House and e-Assessment Model”, where the platform Knowledge Generating House was used to generate groups of investigators and innovative solutions to very specific problems. There is another special menu points on the portal, named Learning Rooms, Learning Materials and Conferences. How they can use portal? Read general information – all users have access to general information (about SP4CE project, different kind of guides, learning materials, conference papers, etc.). Search for partner among education institutes – via link: “Send us your project proposal” can anybody publish a challenge for searching new partners, problem solution. There is no need to any special software for using portal sp4ce.eu. The portal is accessible via any web-browser (eg. Google Chrome, Mozilla Firefox, IE, etc.). A conference (XXII. Multimedia In Education – Keszthely) was introduced through the portal, which aims to foster the exchange of experiences and meeting of professionals in the different fields of education, research and development. We wanted to invite our partners to join the conference to present them our projects (SP4CE, RELM, Remo and Plentis) and to the professionals of the educational field: teachers, researchers and PhD students. Using portal sp4ce.eu we have published the conference ( 1). Description: A conference (XXII. 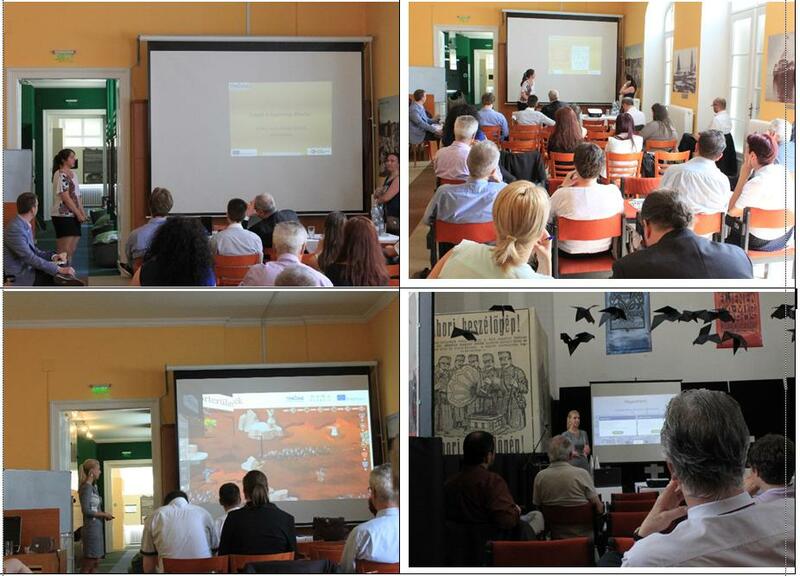 Multimedia In Education – Keszthely) was introduced through the portal, which aims to foster the exchange of experiences and meeting of professionals in the different fields of education, research and development. Through publishing challenge, portal SP4CE presents a gateway for establishing cooperation The advantage of this open SP4CE portal is that to one advertised conference can ask users from different institutions to join, which further can work together also on other projects in other areas. Most significant risk should be lack of interest form users, i.e. despite the publication of the conference call, no one will respond and the challenger will have to use other ways of establishing cooperation. Another risk may be presented by huge interest in cooperation and following hard decision with whom to establish co-work together. Time limitations – in case that the challenger specify the time limit for achieving the reply or solution, it can happen that nobody will manage to join the conference during expected time. It is important to define the call very precisely with useful details to avoid misunderstandings. Very general call could meet with disinterest of other users.